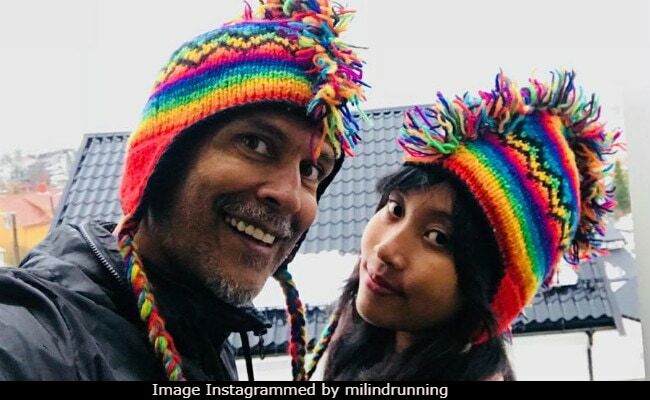 Milind Soman had the most thrilling birthday retreat ever - he recently was vacationing in Scandinavia with girlfriend Ankita Konwar and touched down on home-soil last week. The former model and fitness enthusiast documented his vacation with as many couple photos with Ankita as with his work-out and adventure posts. While in Scandinavia, Milind and Ankita opted for homestays across the European country and checked off destinations like Tromso and Oslo. The duo were celebrating Milind Soman's 52nd birthday earlier this month, which was announced with a special selfie on Instagram. 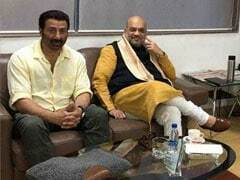 Talking about his trip, Milind recently told news agency IANS: "It was truly a perfect and unique birthday retreat." "The beauty of the Northern lights has always been on my wish list of nature's gorgeous wonders to explore, and what better opportunity than my own birthday to indulge," he said. In posts on Instagram, Milind can be seen going for runs when the temperature was closer to freezing point. "Minus 4 deg :) toes froze after 3k!!!! Rest of the workout indoors at home," he wrote in one of his posts. "I spent my time in the Arctic living like the locals do, from gazing at the northern lights right from the balcony of my Airbnb homes to exploring the gorgeous snow-capped locales within Tromso and Oslo," he added in his interview. Joining in the fun with Milind Soman was Ankita Konwar, who features in every alternate post on Milind's timeline. Earlier this month, Milind Soman and Ankita Konwar trended a great deal - not for the offbeat location they were holidaying in but for his alleged age difference with his girlfriend. A section of the Internet identified certain reports which stated Ankita, an air-hostess, was just 18 and trolled Milind for being several years elder to her. Unperturbed by the virtual world and its dark side, Milind continued to post photos with Ankita. Milind Soman is currently busy with popular TV show India's Next Top Model, which he's part of as a judge. He is best-known for Alisha Chinai's 1995 music video Made In India and has films like Rules: Pyaar Ka Superhit Formula, 16 December, Bheja Fry and Bhram on his resume. In movies, Milind Soman was last seen in Sanjay Leela Bhansali's Bajirao Mastani.